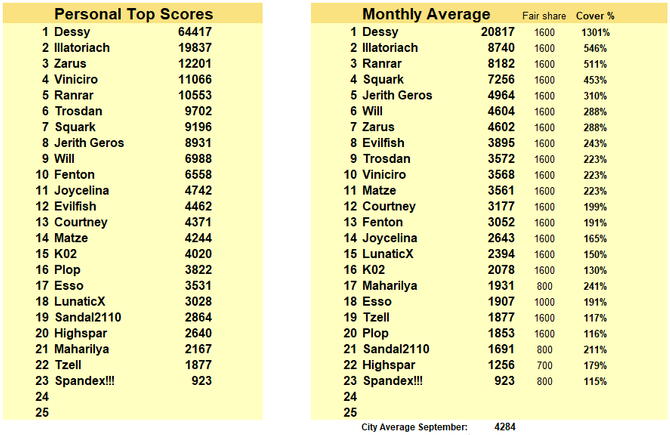 I'm always keeping track of everyone's raidscores to ensure the city remains active and doesn't turn into a ghost town. 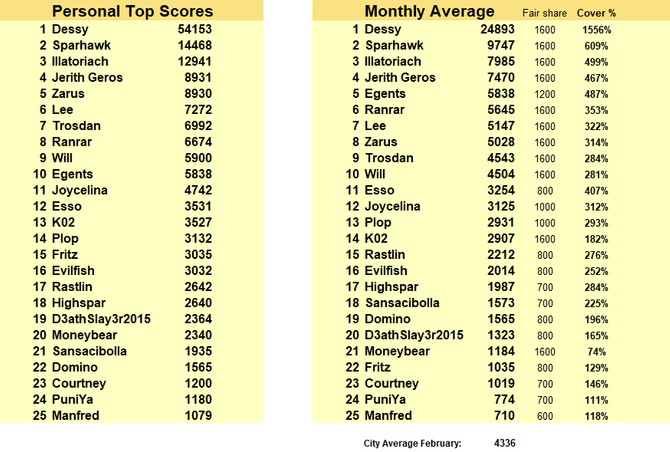 You can find your personal topscores here, as well as monthly averages and fair share % coverage. 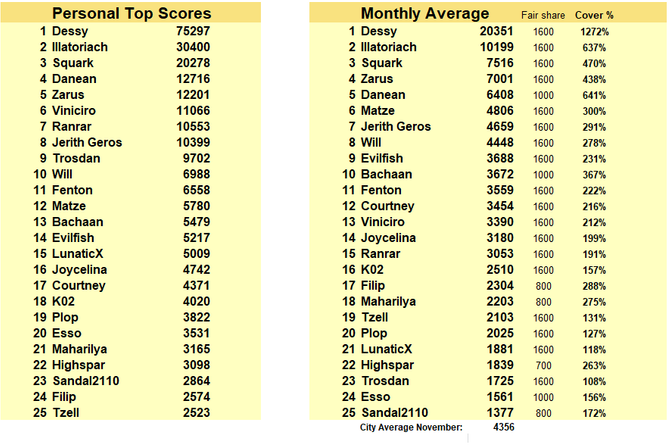 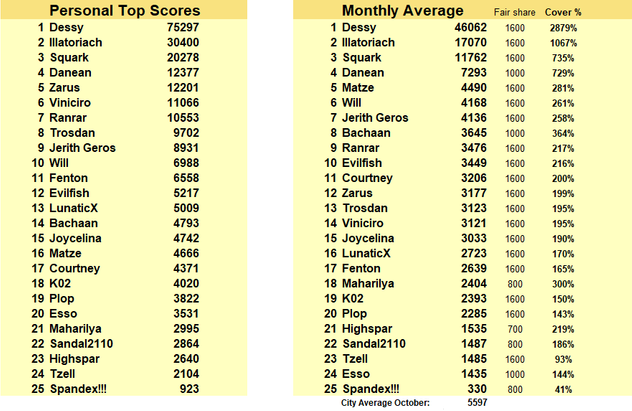 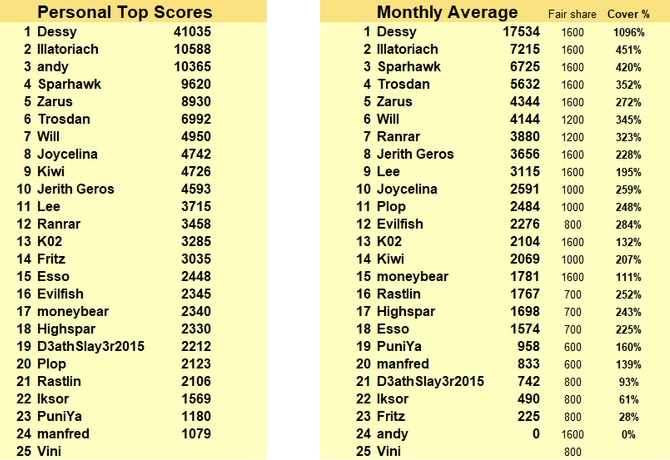 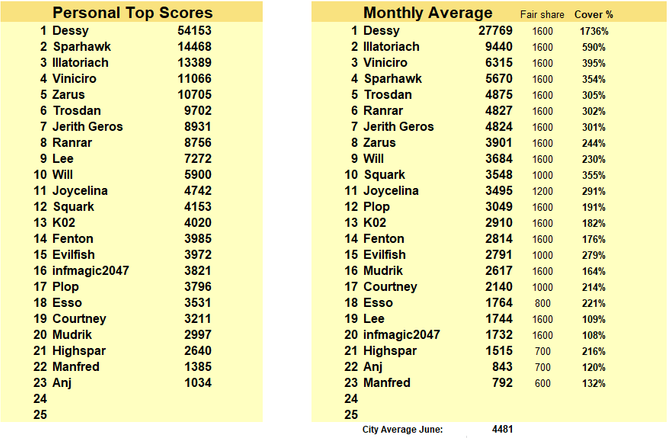 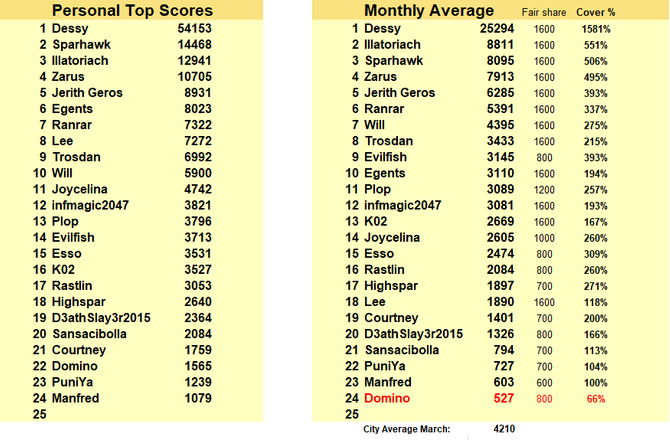 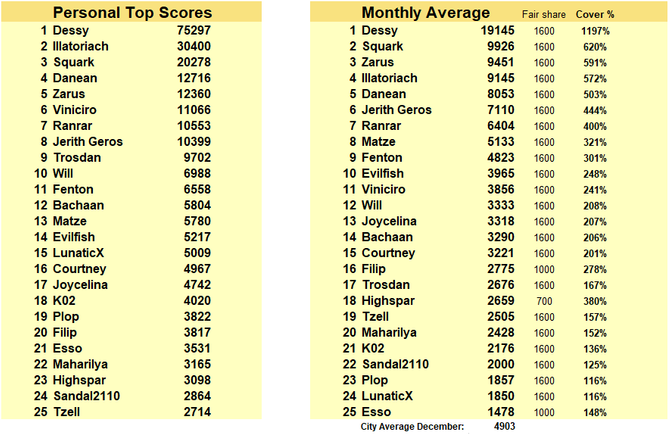 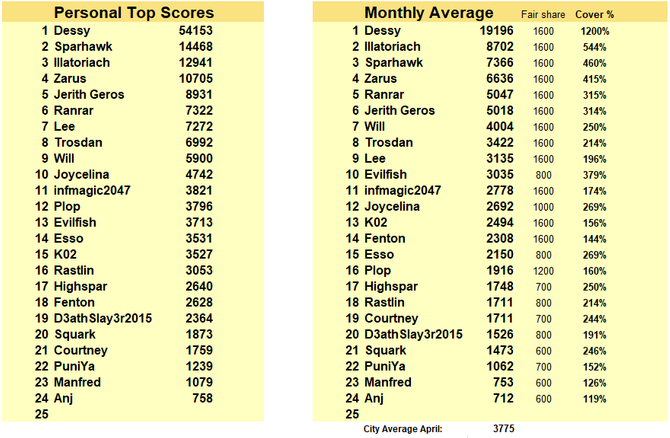 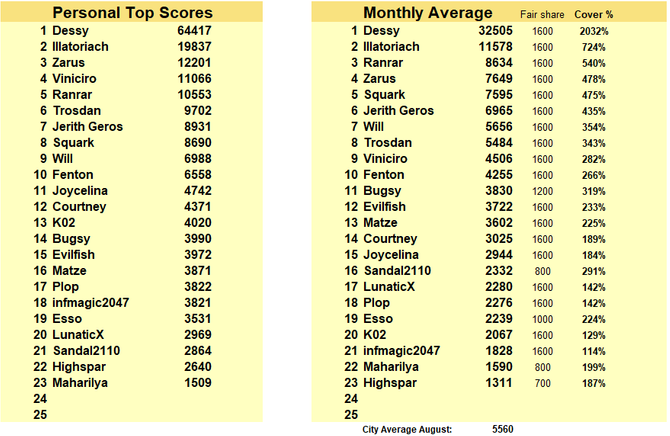 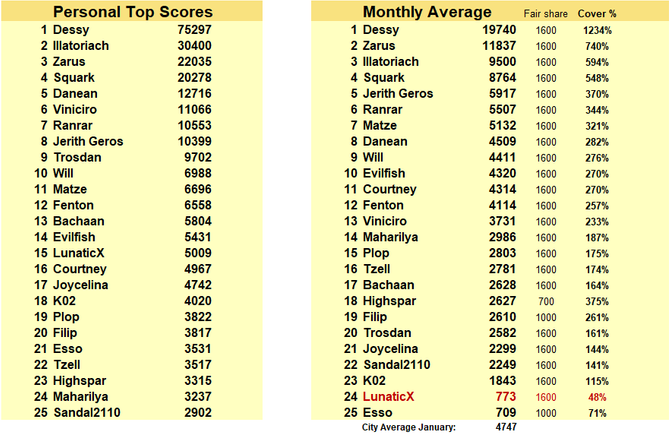 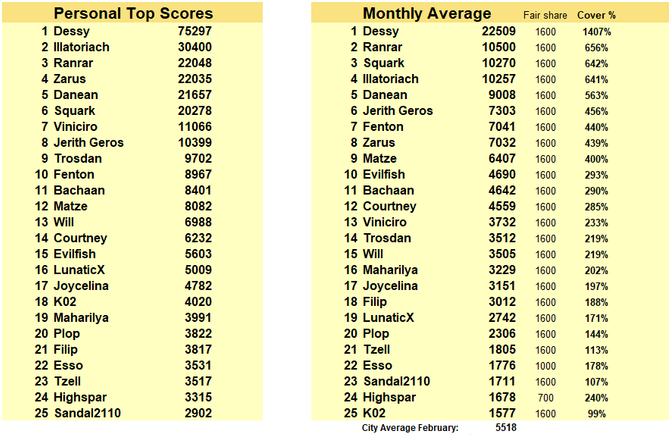 -The personal top scores are the highest raidscores players ever achieved since joining the city. 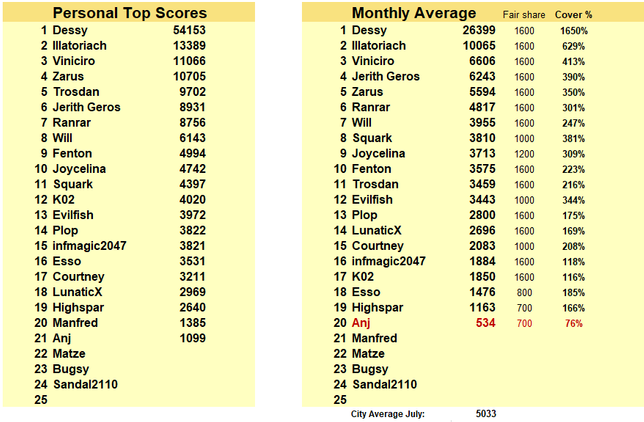 The city raid average was above 5K per player last month & we completed endless 7-14. 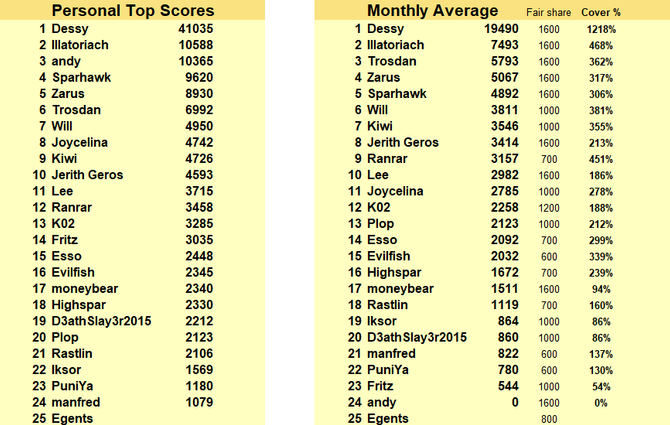 Sometimes players drop a bit below 100% fair share coverage, as long as there's a reasonable explanation and an indication they'll be active again soon it's not a problem. 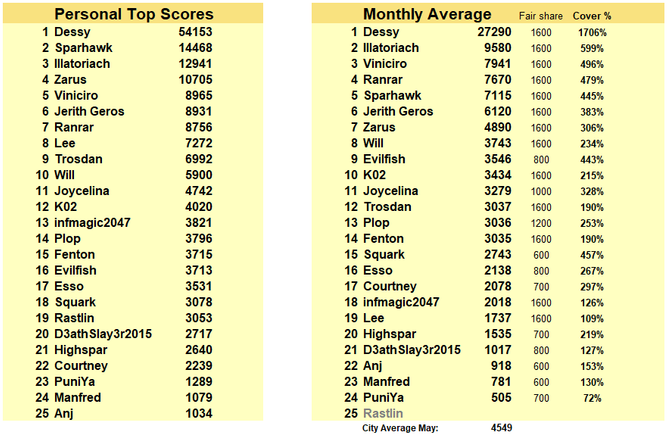 Real life comes first, we'll gladly cover for a neighbors vacation/busy week as long as they're willing to do the same for us. 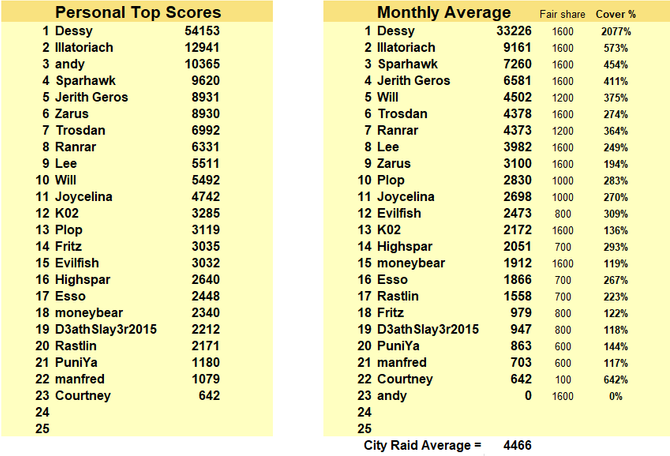 Older Raid Data: I'll try to clean it up a bit & add more previous months when I get around to it.